The Temptations (also abbreviated as "The Tempts" or "The Temps") are an American Motown singing group whose repertoire has included doo-wop, soul, psychedelia, funk, disco, rnb, and adult contemporary. Formed in Detroit, Michigan in 1960 as The Elgins. The group, known for its finely tuned choreography, distinct harmonies, and stylish suits, has been said to be as influential to soul as The Beatles are to rock. Having sold an estimated 22 million albums by 1982, The Temptations are one of the most successful groups in black music history and were the definitive male vocal group of the 1960s. In addition, they have the second-longest tenure on Motown (behind Stevie Wonder), as they were with the label for a total of 40 years: 16 years from 1961 to 1977, and 24 more from 1980 to 2004 (from 1977 to 1980, they were signed to Atlantic Records). 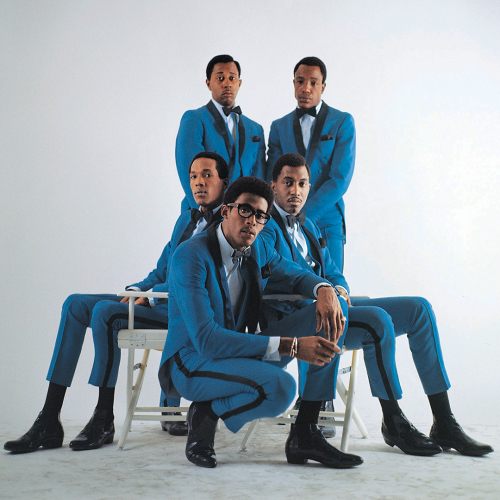 As of 2005, The Temptations continue to perform for universal records with only one original member, founder Otis Williams, in its lineup. Like its sister group The Supremes, The Temptations' lineup has changed frequently over the years. The original group included members of two local Detroit vocal groups: second tenor/baritone Otis Williams, first tenor Elbridge Bryant and bass Melvin Franklin from The Distants; and first tenor/falsetto Eddie Kendricks and second tenor/baritone Paul Williams (no relation to Otis) from The Primes. Among the most notable future Temptations were lead singers David Ruffin and Dennis Edwards (both of whom became successful Motown solo artists after leaving the group, as did Kendricks), Richard Street (another former Distant), Damon Harris, Ron Tyson, Ali-Ollie Woodson, Theo Peoples, and G.C. Cameron. Over the course of their career, The Temptations have released four number-one pop hit singles and 14 number-one R&B hit singles, and their material has earned them three Grammy Awards. Most of the early Temptations hits, including "The Way You Do The Things You Do", "My Girl", and "Get Ready" were written and produced by Smokey Robinson and other members of The Miracles, while composer/producer Norman Whitfield and lyricists Eddie Holland and Barrett Strong crafted most of the group's later hits, including "Ain't Too Proud To Beg", "I Wish It Would Rain", "Cloud Nine", "I Can't Get Next To You", "Just My Imagination (Running Away With Me)", and "Papa Was A Rollin' Stone".